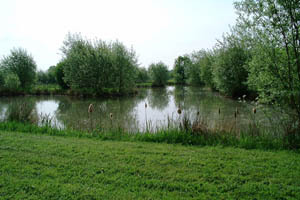 Do you want to fish on a lake that is so tranquil, that the only thing you will hear is the dawn chorus and never been fished as a day ticket water before, then this is the place for you. 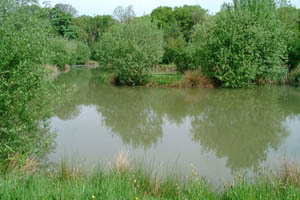 This secluded angling paradise, opens for the first time as a day ticket water, this previously completely private, well matured lake set in six stunning, peaceful and tranquil acres on the Shropshire Cheshire border is positively brimming with fish, Ghost Carp, Mirrors, Commons, Leathers, Crucians, Roach, Rudd, Bream, Perch, Tench, Chub, Dace & Gudgeon. Open 7 days per week, All year round. We look forward to meeting you and wish you a great days fishing. 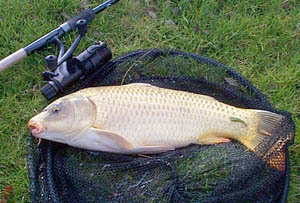 We also do Angling Tuition and Multi-Activity Days, please check website out link below. Situated just of the A525 between Nantwich and Whitchurch, if approaching South from Nantwich, heading towards Whitchurch, just after Shropshire border sign and just before the Pub Ancient Briton Inn, turn right signposted Old Woodhouses onto a single track road, go past a farmhouse on right and brick cottage on left, carry on for another 350yds round a sharp left hand bend, then another 550yds on left is a half timber framed house which is Combermere Cottage, go left through double gates into car park. 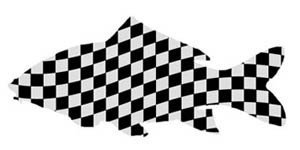 Look out for and follow The Chequered Fish. Please use only the turning off the A525 as described and drive slowly and carefully down single track road.